Gentle Purifying Emulsion cleanses dry or sensitive skin. It removes surface debris and makeup. Apply without water. Wipe off with tissue and then rinse off with water. 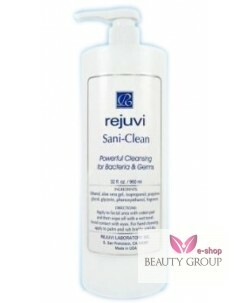 ..
Rejuvi Sani-Clean instantly dissolves dirt and debris while killing bacteria and germs on contact. Formulated to be gentle enough for your face but effective enough for cleansing your hands. Aloe vera and glycerin soothe your skin while helping prevent moisture loss, leaving you with a clean, crisp apple scent. 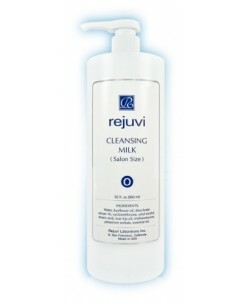 Apply to facia..
Rejuvi r Clearing Toner Spray. Helps to detoxify heavy metal ions and tough impurities on the skin. That normal cleansers cannot remove. 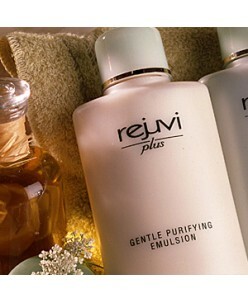 Description Rejuvi r Clearing toner is specially formulated to detoxify and remove heavy metal ions and tough impurities on the skin surface. Heavy metal ions from contaminated water, poor .. 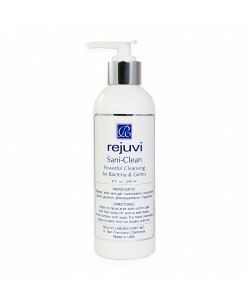 This ultra mild and gentle cleanser is ideal for dry, sensitive or mature skin. Precious Rose Hip Oil and Glycerin protect the skin from dehydration and help maintain the skin's water barrier. Skin is left looking and feeling healthy, soft and silky. Application: May be used twice a day. ..